The month of Dhul Hijja is almost upon us. It is a sacred month wherein the Hajj (or pilgrimage) takes place, a month wherein we remember the sacrifice of Ibrahim (Alayhis-salaam) and His family; and celebrate Eid-ul Adha (Festival of the Sacrifice). It is also the final month of the Islamic calendar. The MJC leadership acknowledge and is deeply concerned about the level of moral degradation in South Africa. Our citizens are faced with many challenges because of the chaos and mayhem created by lawlessness within our society. 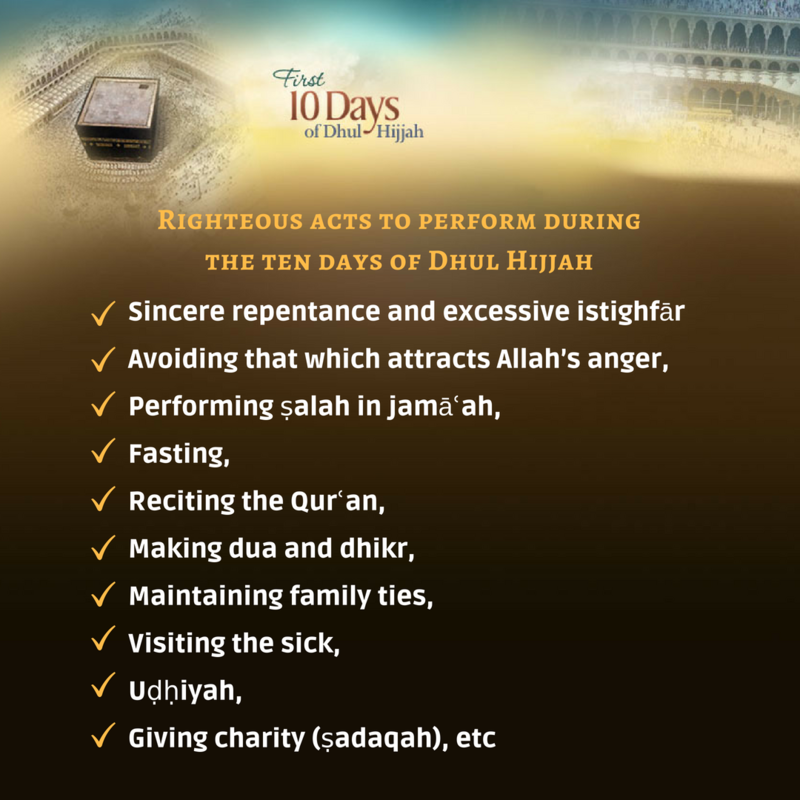 The MJC therefore, calls upon the Muslim community, to utilize the first nine (9) days of Dhul Hijja in fasting for Allah’s sake. One of the best deeds we can perform is that of Sunnah fast. We should fast these days with the intention that Allah Almighty showers our beloved country with peace, tranquillity and stability. We kindly appeal to all Imams to intensify the call to our communities to be law-abiding citizens and to develop and display compassion towards our fellow brothers/sisters in humanity through our good deeds. Our grandmother, mothers and daughters must be assisted in every possible way, as they bear the brunt of social ills, especially as they have become the breadwinners for the household. With this intention, Allah Almighty will assist us in bringing our country back to stability for us, our children and our entire community, Ameen. May Allah grant us reward for our efforts, Ameen.